Available in assorted styles/colors. Please allow us to choose for you. 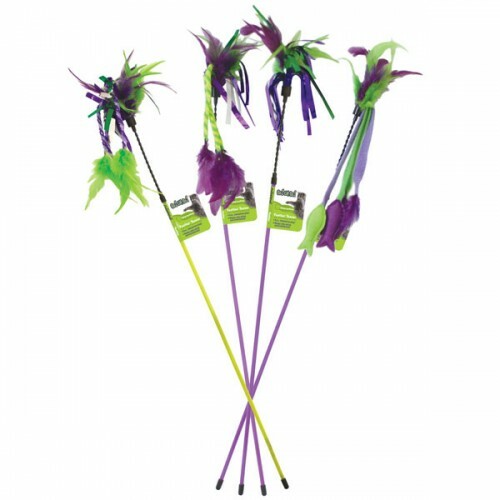 These teasers are not just a bunch of feathers on the end of a stick, they have streamers or dangly bits to along with a flexible end to really get your cats attention. Use the teaser wand for lots of fun and interactive play with your cat. Keeps cats active and entertained. Wand measures 18″ long and the flexible end measures 6″ long with feathers, streamers or bungee cord on the end for added kitty attraction.